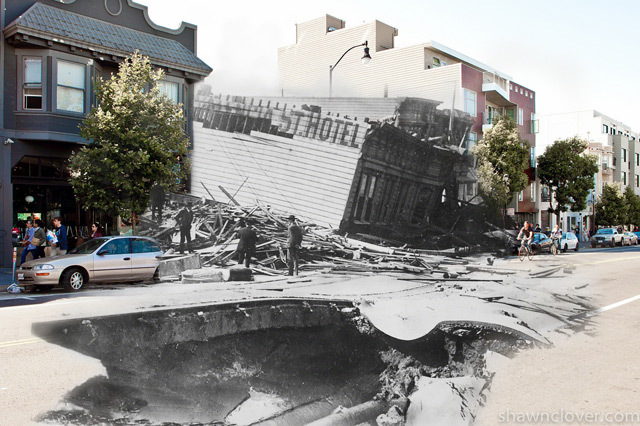 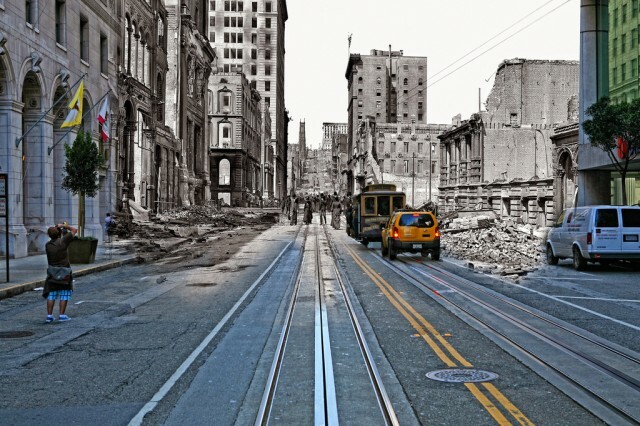 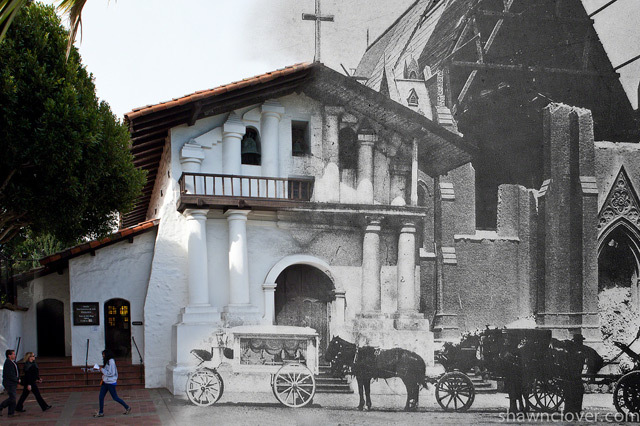 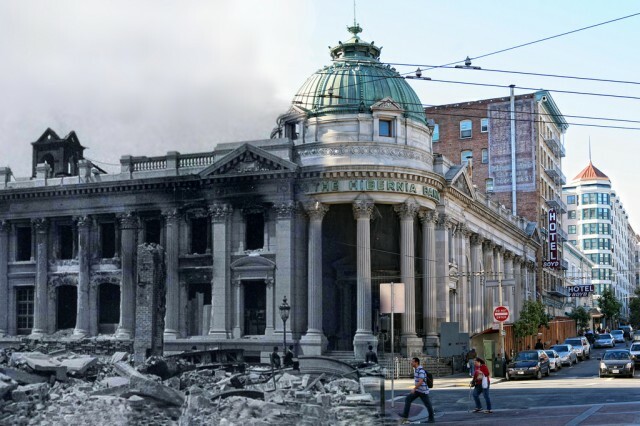 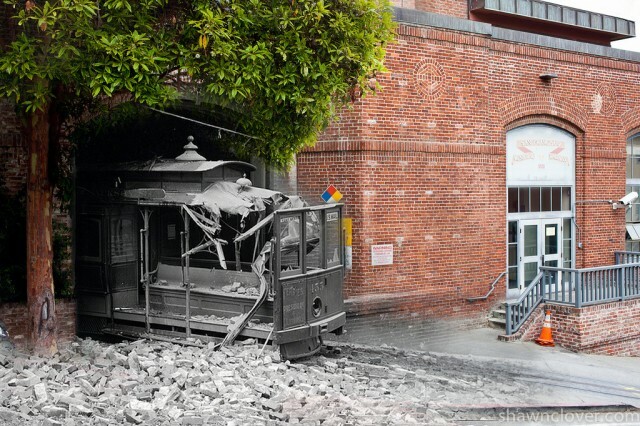 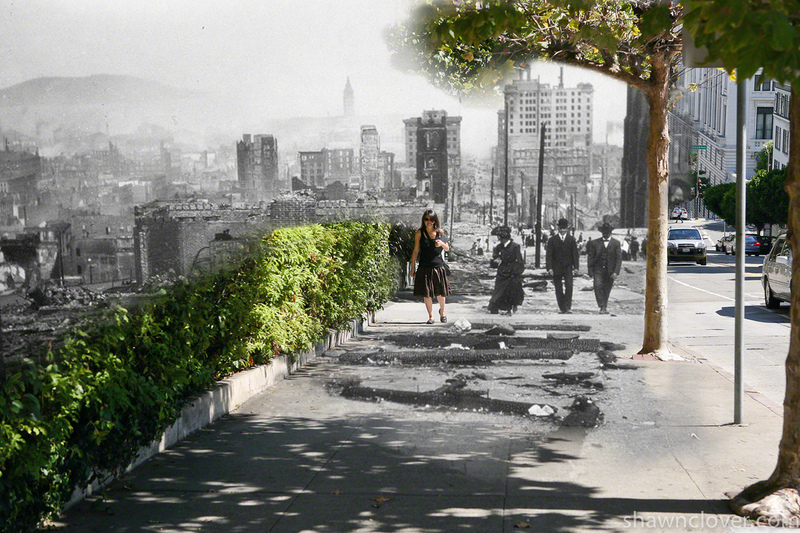 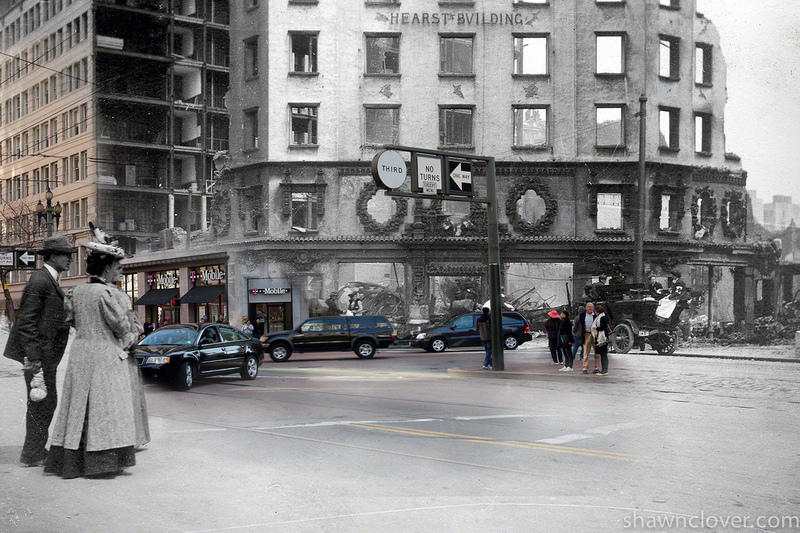 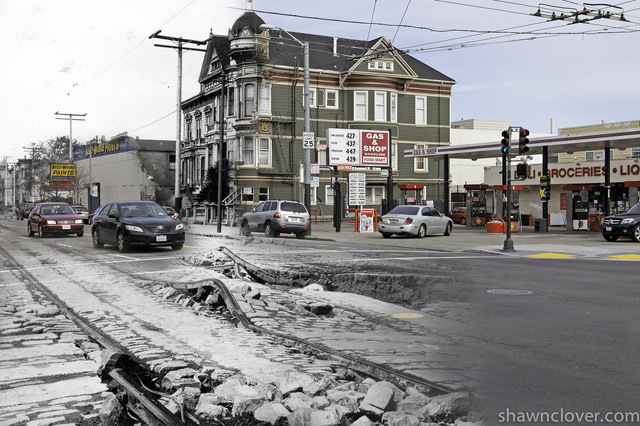 Photographer Shawn Clover meticulously pieces together images from the past with images of today, with part two of his Earthquake blend series. 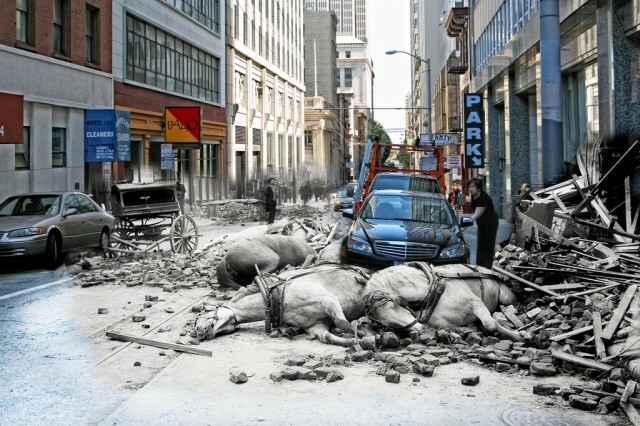 By taking a picture from the exact spot as the photographer in the past, he is able to montage the two together in a seamlessly real composition, as if we are jumping between two time periods. 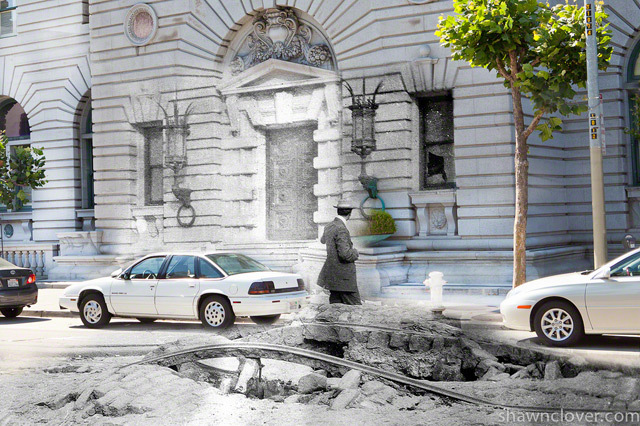 "Just moving one foot to the left changes everything"- Shawn Clover.